Technology, and more specifically digital media, has opened up seemingly infinite possibilities for learning to take place beyond the classroom and for crossing from informal to formal learning. 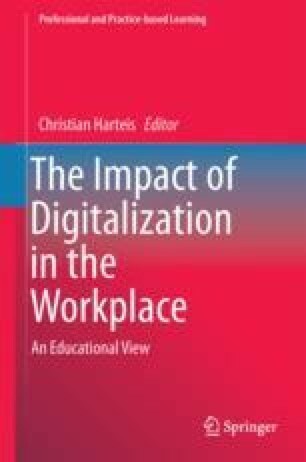 The goal of this study is to understand how adult ‘learners at work’ use digital media in formal and informal learning contexts. A total of 44 adults enrolled in various executive programmes participated in a survey research. Results suggest that, among various activities responding to pedagogical categories, those activities learners engage the most in are ‘referential individual’, ‘constructive collaborative’ and ‘reflective collaborative’. Learners engage more frequently in activities belonging to wider pedagogical categories when they are part of work-related contexts (predominantly informal) than it is the case in more formal contexts. Using digital media, a continuum of learning contexts could be encouraged through ‘referential’, ‘constructive’ and ‘reflective’ activities, be it on a progressive basis from individual to collaborative. Grundtvig International Network of Course Organisers. (2006). Adult Education trends and issues in Europe. Retrieved from http://www.ginconet.eu/sites/default/files/library/AE_trends_issues_Europe.pdf. Redecker, C., Ala-Mutka, K., & Punie, Y. (2010). Learning 2.0-The impact of social media on learning in Europe. Policy brief. JRC Scientific and Technical Report. EUR JRC56958 EN, available from: http://bit.ly/cljlpq. Accessed 6 Sep 2017.